I am a writer (journalism, drama, fiction) and broadcaster (production, hosting). I also chair writing workshops for SixPens.com and edit/evaluate manuscripts. I have made two BAI-funded radio documentaries as well as a short feature for RTE Lyric FM. Previously I was a producer in the US at the NPR affiliate, KNPR, where I won a regional EMA for my work. More details here. 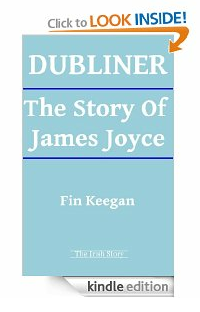 I have written a short biography of James Joyce, several performed plays, and published articles in the Irish Times and the Dublin Review of Books, among others. My fiction has been broadcast on the BBC World Service. My work has been described as as "exuberantly satiric and acid-edged" by the Daily Mail and "riotous...brilliant", by MetroLife Dublin. Get more details on my services or my background. Or get in touch.